for sale jeep soft top. needs zipper repaired on the rear window. 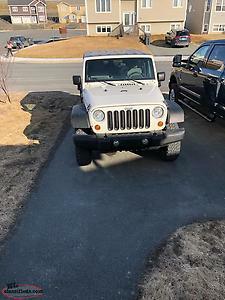 2010 Jeep rubicon with 160 000km. Standard transmission. Jeep is in good condition with only a few small rust spots. Sway bar motor was removed and replaced with a one piece sway bar. Motor gave out and it wasn’t being used. Comes with soft top and freedom hard top. 4 wheel drive works perfect. wanted to buy Soft doors too fit 2012 commander side by side. Used 4 door Jeep soft top. Has all hardware, tinted windows. Used but no rips, some scratches on windows but nothing serious. $400 obo. 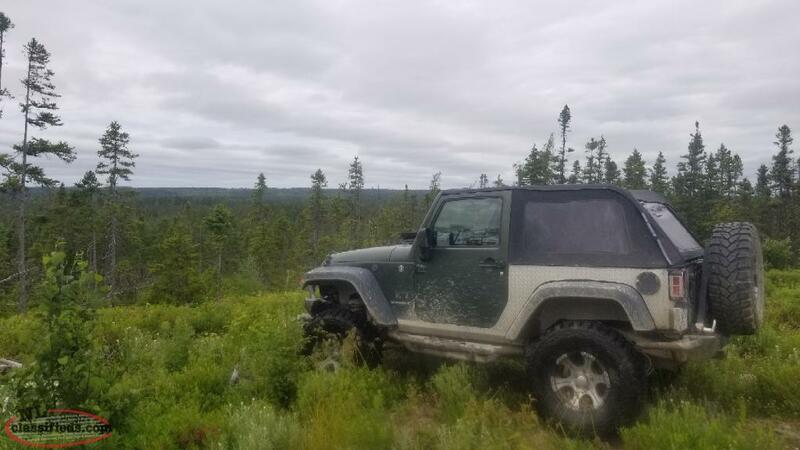 Hi, I'm interested in the 'jeep soft' posted on NL Classifieds! Please contact me if still available.